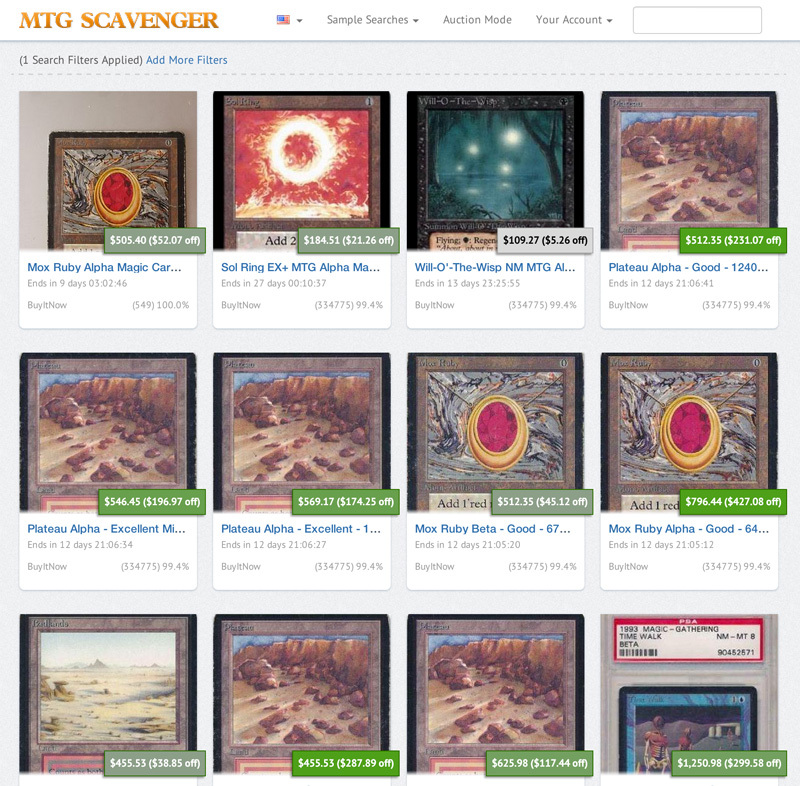 Introducing the completely rebuilt MTG Scavenger. Everything has been rebuilt from the ground up to provide a faster, more responsive user experience, tuned to exactly what you’re looking for. One of the biggest new features that’s been added is the ability to add your own custom card values. So if you feel the current card value is too high, you can change it! I built this to find cards ending soon on eBay, trimming out all the “fat” and showing only cards that are under valued / under priced. 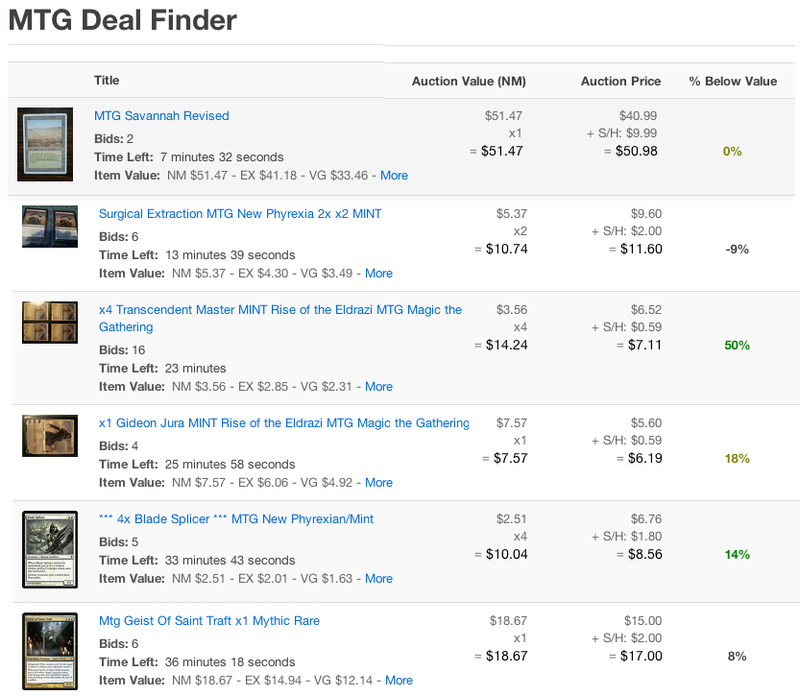 There are a ton of filters, so you can hone in the results to exactly what you’re looking for, then save/bookmark your filters to check in on only the auctions you care about. 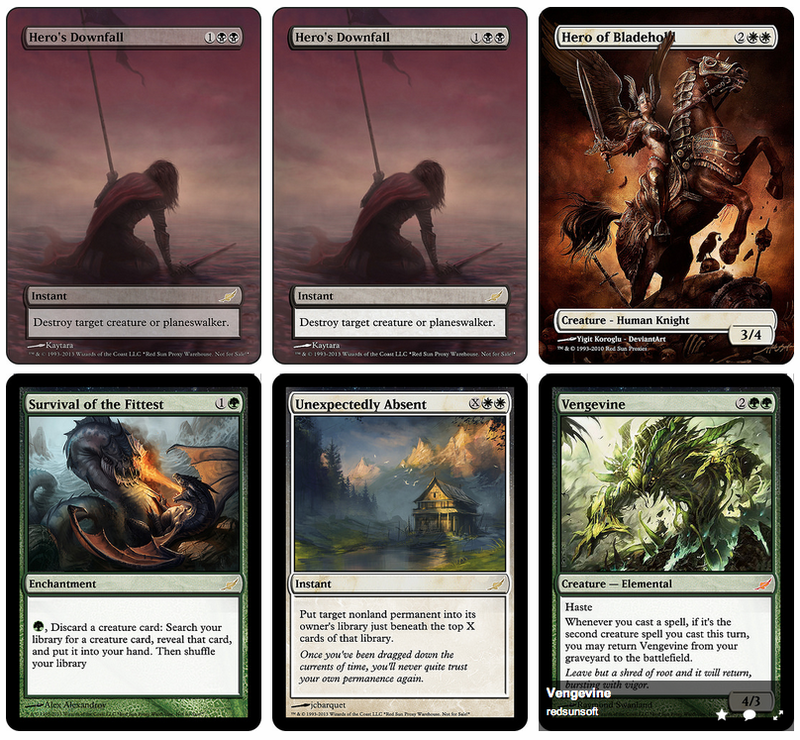 Basically it saves you tons of time, giving you a competitive advantage on buying magic cards. The site is in beta at the moment and is by invite only for now. If you’d like to get in on the beta, here’s a few invite codes to get you started. If these run out, ask a friend or hit me up. I’d also like to hear your feedback so feel free to contact me, tony@mtgscavenger.com. Cheers!